Some people find it tedious to fiddle around with the good old Commodore 64 hardware but would still like to play some of the old games. They don’t mind playing the games in an emulator, as long as the joystick is one of the originals, e.g. the Competition Pro or my personal favourite the ZipStik (link). If you find yourself in that category, this post may be of interest to you! They don’t need special drivers and should therefore work out-of-the-box. I have tested them on Windows XP, Windows 8 and Windows 10 machines without problems. The first one is from an Ebay shop called Despegatop and the device costs around 35$ plus shipping from Spain. 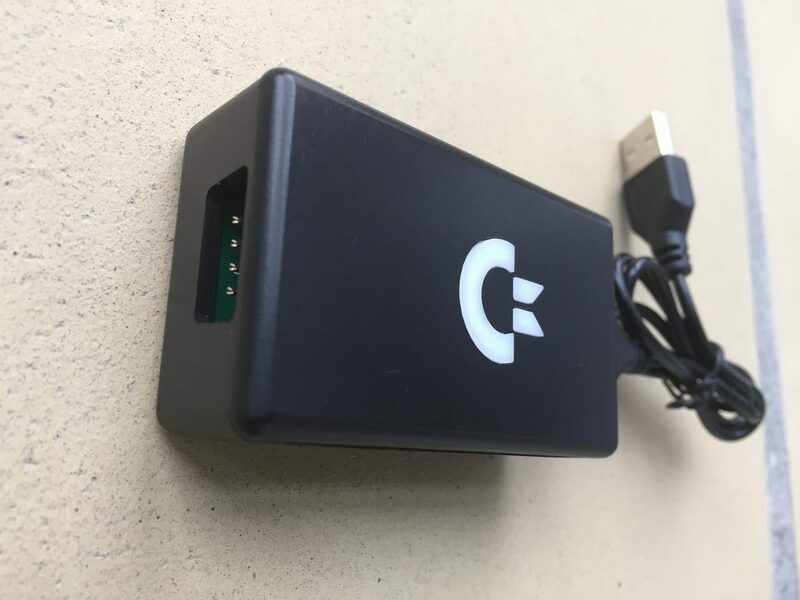 The device comes in a nice black box with the Commodore logo on top. 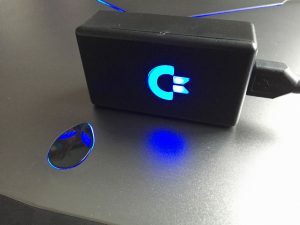 The inside of the box holds a PCB and a blue LED which lights up the Commodore logo when attached to a computer. New school meets old school…Nice…! After setting it all up, the device worked without any problems at all. It is responsive and just as fast as playing on the real Commodore 64 hardware. 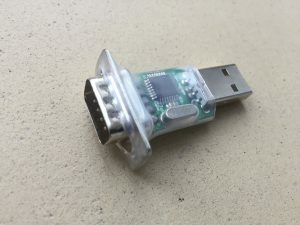 The second USB adapter is made by the German based company 16xEight Digital Retrovation (link). Their device is called the aJoy Nano. The company sells several Commodore 64 based hardware add-ons including the Super VIDEO Board (link) and the SD2IEC Mini (link) which I have reviewed previously. The aJoy Nano should work on most operating systems and it costs around 18$ plus shipping from Germany. The aJoy has a 9 pin socket soldered onto a small PCB with a standard size USB plug. Everything is held in place with some transparent shrink wrap. The device is quite small and the 9 pin male socket is used for plugging in your favourite Commodore 64 joystick…. After a little persuation of Windows 10, the device was successfully installed. The device could then be chosen in the same drop-down menu in Vice as the Retro Adapter described above. The adapter is called aJoy in the Vice joystick menu. The function of this device is exactly the same as the one described above. Again no delays is noticed during gameplay and it does what it is supposed to do – attaching an old Commodore 64 joystick to a modern day computer. So which one is the better choice – the aJoy Nano or the Retro Adapter? 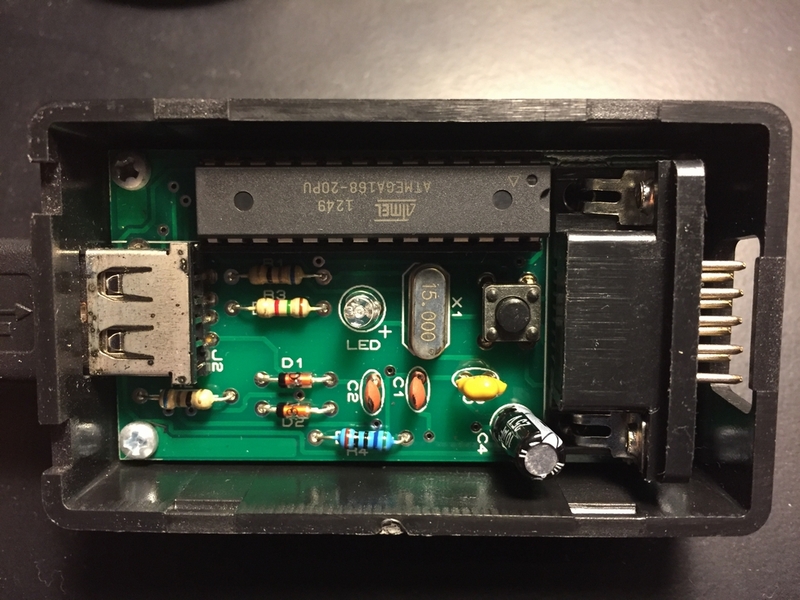 They both do exactly what they are supposed to do, which is attaching old C64 joysticks to modern day computers. During testing, I could not detect any differences between them and they were just as responsive as the real Commodore 64 hardware I usually play on. In direct comparison, the Retro Adapter has the sweet blue LED logo but is very bulky compared to the aJoy Nano. Furthermore, the aJoy Nano is half price compared to the Retro Adapter. This way it may be possible to get a second hand C64 joystick and the aJoy Nano for the same price as the Retro Adaptor only. As my Alienware laptop has plenty of blue LED lights already, I would personally go with the cheaper and smaller version – the aJoy Nano! Happy emulator gaming! I know these two adapters and I also know three more, which all have no delays. (1) One is the “RetroDonald Adapter” from the german Sinchai Shop. On this adapter two controllers can be connected, which is good. Two player can play at the same time. 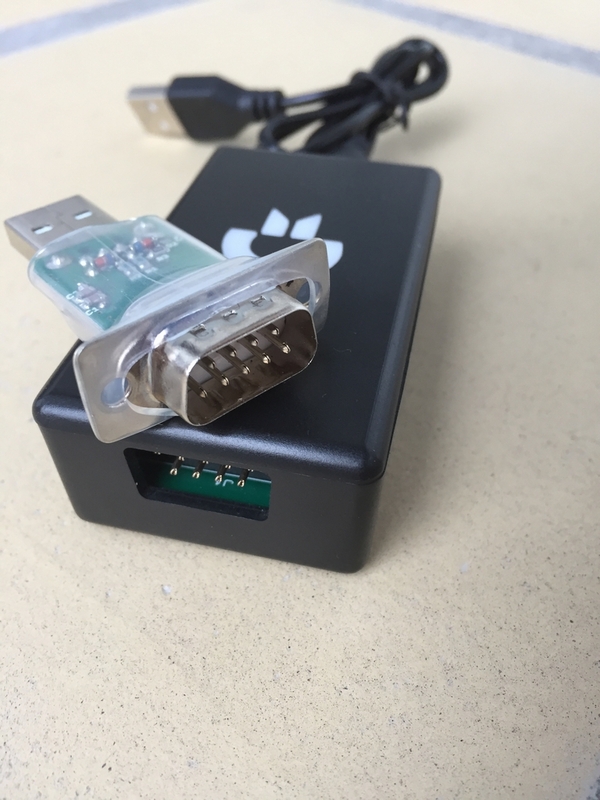 (2) The next one is the “Genesis/SMS/Atari controller to USB adapter”. 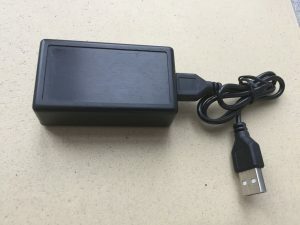 The special thing about this adapter is, that it can autodetect, if the user connects a MegaDrive, MasterSystem or Atari/Commodore controller and then provides as many buttons. 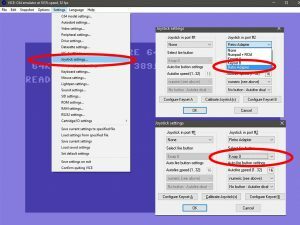 For example, connecting a six-button MegaDrive pad and you have eight buttons in the windows-controller-menu which you all can use in different emulators. (3) And the last one is the adapter from RetronicDesign. Also here we have a special thing, because this adapter can be ordered with different firmwares. It also supports Atari-2600 paddle-controllers or Amiga-CD32 gamepads. All of these have no feelable delay or something. Even games like Decathlon or Track& Field will work in the emulators with all of the five mentioned adapter here. 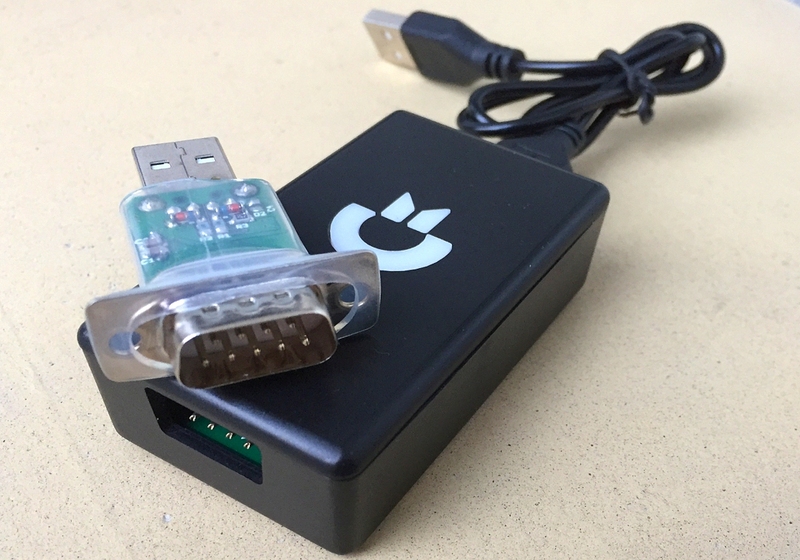 And there are even more good and fast-reacting 9-pin-to-USB-adapters on the market. Thanks for sharing 🙂 I was not aware of those adapters! However, the Retro Donald Adapter may not be available anymore as Retro Doanld (sinchai.de) has closed his shop due to illness. It is an assembly-kit, but the owner of the shop will assemble the product when you ask him. I know this, because a friend of mine bought one fully-assembled some weeks ago and didn`t need to pay more. He gave 5 Euros more for assembling by himself, because he wanted. I have recently acquired some 2600-daptor II’s (link) for use with 8-bit emulators and have had no issues using them with Vice. They have a few versions and support a wide range of retro controllers. 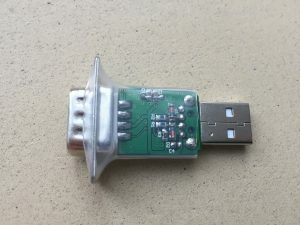 Can you please tell me how to get the aJoy USB Retro Joystick Adapter to work on Windows 10 x64 please? 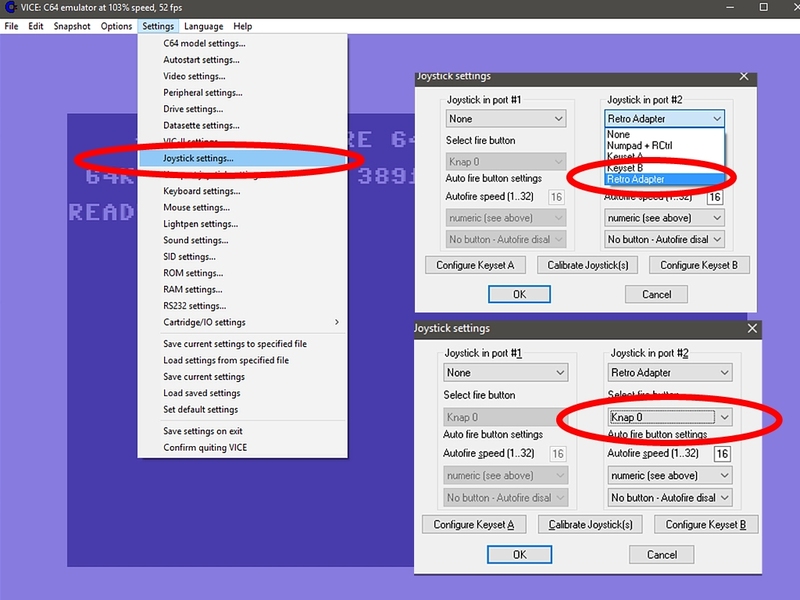 I use the aJoy Nano with Vice on a Windows 10 x64 computer so it should work 🙂 You can press ‘Windows key+R’ to display Run and then input’ joy.cpl’ and click OK. This will bring you to the joystick calibration menu. The joystick adapter should be seen here if your system recognizes it. Hope you get it working. Thank you for your comment MtnBuffalo. I’m running Windows 10 x64 (1709) and when i look the device manager, i get ‘Device not migrated’. I’ve googled it and tried a lot of things, but no luck so far. Did you have the same issues with the aJoy Nano? If so, what did you do to solve this? Can you use any of them with the C64 mini? I would not recommend the USB-version of the “Competition Pro” sticks. 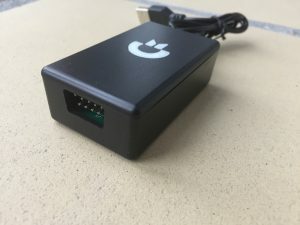 The chip they used in them have a very bad polling-rate and only query the controller 12 times in a second (the mentioned adapters here all do it about 100 times and more in a second). It can often be read on the internet about this problem. 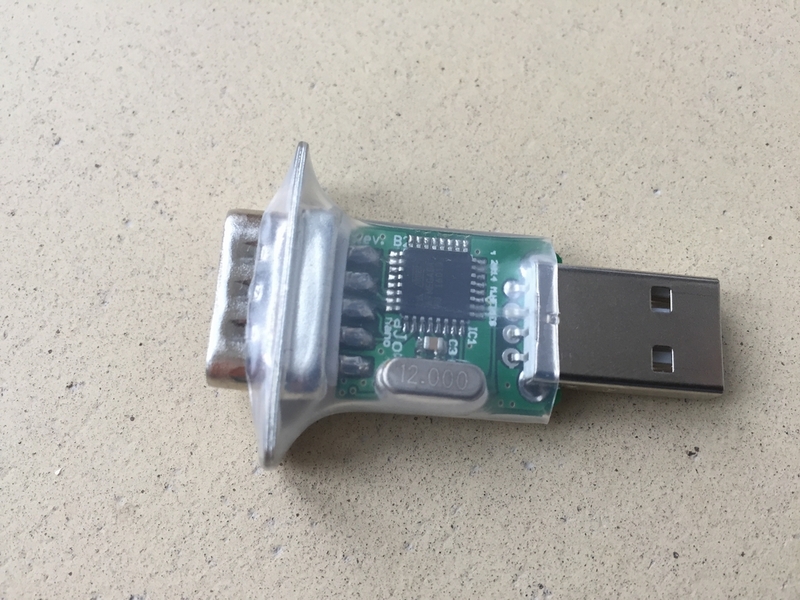 This is the “bug” of the USB-model of these sticks. They have feelable delay and games like “Track & Field” or “Decathlon” are not playable at all, because the user cannot fill the speedbar correctly. For fast action-games the USB-Model of the Competition Pro is useless! 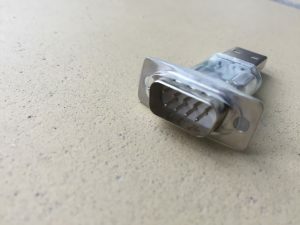 Therefore I really recommend buying the 9 Pin-model of the Competition Pro Joysticks and one of the six mentioned adapters here in this thread. They are all good and react fast, no delay at all. So, given that Sinchai’s version is no longer available, do either of the versions you’ve reviewed here have any issues working to attach ‘two’ joysticks for 2-player games? I know some systems simply didn’t think about that and aren’t set up to enable it easily. Also, does anyone know if Sinchai’s wiring diagram or even PCB layout has been made available since his store closed? I’d love to make my own, and his was reckoned to be one of the best out there. I’m getting a “website is down” message (in German) for the aJoy Nano site. Can anyone advise whether this is still available? “Ossie1972”, for example the “Genesis/SMS/Atari controller to USB adapter” is still available in the canadian Raphnet shop. You can simply copy the full adapter name in the Google search-engine and the shop where you can buy it, will be shown. Also the Retrodonald adapter should be available in the restore-store.de since the Sinchai shop was closed. You could simply ask the owner of restore-store, when he will get the next delivery of assembly-kits for the Retrodonald adapter, cause at the moment they seemed to be sold out. But i am sure, that he will get this product again. By the way, no matter which adapter you choose, all these mentioned 9Pin-to-USB adapters here in the thread, works great and react very fast. And also there is a new model of the “USB Competition Pro” available now, which reacts much faster than the old models. So these bug seemed to be wiped out of the USB Competition Pro sticks, which finally make them interesting now for retro gamers. Ajoy Nano adapters are still available in Ebay, directly from the producer.